Short North Trolley Co. is proud to announce holiday series. Join us for a BYOB Holiday Crawl & Lights Tour through Columbus. 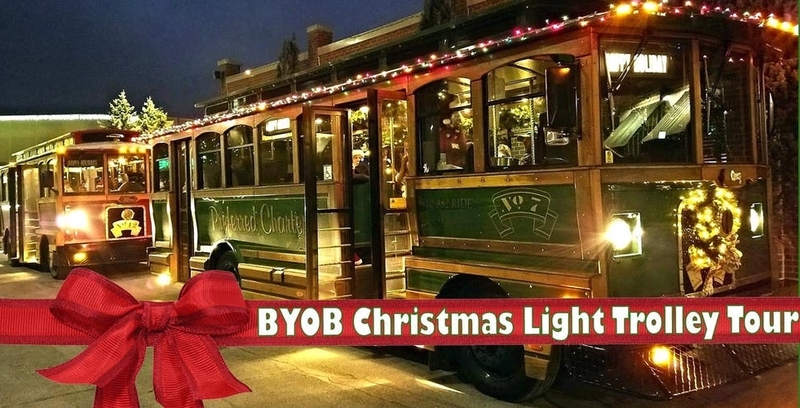 Bring your own beverages on the vintage trolley and as soon as we board our trolley holiday party begins. Have a large group? Buy all 26 tickets to ensure you have a private crawl. This will allow you to pick your route through the Columbus area. You will be greeted by our holiday festive trolley MC who will guide you on the tour and receive a Columbus Local gift bag! *Fine Print: All sales are final and tickets are non-refundable. Tickets are only valid for scheduled event date and event time. No refunds or reschedules will be provided to anyone who misses scheduled event. Event is rain or shine. No refunds will be given to customers who do not attend the scheduled event due to weather. Space is limited and trolleys will not be oversold or overbooked. Each trolley has a max of 26 customers. BYOB; must be 21+ to consume alcohol. BYOB is for trolley ride ONLY. You may bring beverages/cooler with you to the event, but will be asked to keep all beverages stored away until we board the trolley. Absolutely no glass will be allowed on the trolley. Duration of event is 3.5 hours.